Veterans sacrifice their time, their energy, and their health to protect this country. 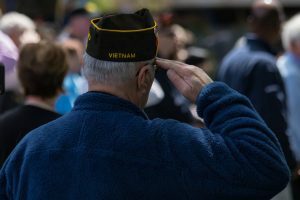 According to the most recent government data, there are more than 3.7 million veterans living with service-connected disabilities. At The Comerford Law Office, LLC, our Lowell veterans attorney is a proud member of the National Organization of Veterans Advocates (NOVA). Mr. Comerford is fully accredited and fights tirelessly to help veterans obtain their full benefits. If you need help with your application or your appeal in Lowell, please contact us to schedule a free consultation. Many more disabilities and health conditions. To start, our law firm can assist you with your initial application for veterans disability benefits. These cases typically begin with VA Form 21-526. This form must be properly completed and all relevant medical evidence must be included with your application. Be careful: A seemingly small mistake could result in your claim being denied or delayed. Ideally, your benefits will be paid out soon after you submit the initial claim. However, if you receive an adverse decision, you have the right file an appeal. The first level of review is initiated by filing a Notice of Disagreement. Our Lowell VA benefits attorney can help you prepare and submit your Notice of Disagreement (VA-Form 21-0958). In this form, you must explain exactly why the VA made the wrong decision in your case. 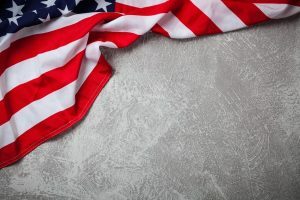 Finally, if you still have not been offered full and fair disability benefits after a second review of your file, you should take your case to the Board of Veterans Appeals. You have 60 days from the date the Statement of the Case (SOC) to file a form 9 (VA Form 9). If you are appealing a VA disability denial, you should get a lawyer by your side as early on in the process as possible. At The Comerford Law Office, LLC, we are proud to advocate for the rights and interests of veterans in Lowell and throughout the region. To get immediate help with your legal claim, please do not hesitate to contact our law office today at (312) 863-8572. Initial consultations are fully confidential and free of charge.